The IFA Conference 2017 has seen a wide array of technology companies unearthing their latest tech spectacle’s to the world. Microsoft joined the crowd, offering a live stream to the event for all the world to witness. They introduced themselves with a reminder of the Xbox One X release date of 7th October 2017. As this console is set to be the world’s most powerful yet, it’s clear to see why they decided to use IFA as a reminder of their triumph. 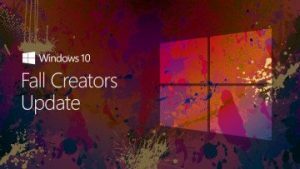 Microsoft then went on to speak about their latest Windows 10 S, the most secure Windows ever and their new upcoming Fall Creators Update, set for 17th October 2017. In this new update we can expect to see ‘inking’, the introduction of multi-platform ‘mixed reality’, the further evolution of Paint 3D and eye-tracking. Eye-tracking allows the user to navigate through their device using only their eyes. Which means for the public suffering with disabilities such as Lou Gehrig’s disease, Windows is now accessible in a way that it never was before. Microsoft also stressed that they are currently the only operating system to have this next level of accessibility, and they’re not wrong. What we saw of Windows Mixed Reality (just their own unique name for Virtual Reality) was rather impressive. Their program will be run across several sellers of these Mixed Reality headsets, such as Dell, HP, Acer, ASUS and Lenovo. Microsoft rave that by using their technology across multiple platforms and providers they are able to reach a great audience, making the once exclusive premise of mixed reality, publicly accessible. Mixed Reality will see an array of games and features for every user to enjoy. Games we can expect to see are: Obduction; Dreams of Dali; Space Pirate Trainer; Super Hot VR; Luna; SkyWorld; HoloTour; Galaxy Exploration; Free the Night; Minecraft and more. Not only this but Steam have agreed a partnership deal with Microsoft that will eventually see the entire Steam catalogue of games available for Windows Mixed Reality gameplay. The Mixed Reality (MR) headsets and set to be compatible with Microsoft’s very own MR controllers. No matter who your headset is purchased from (Dell, HP, Lenovo, ASUS or Acer) the headset will be compatible with these controllers. The controllers have an array of LED lights across them that will help the headset accurately align with the users’ movements. Microsoft went on to talk about their 2015 released program, HoloLens and how their all new 2017 Mixed Reality will use elements of HoloLens within its software, but adapts on it in other ways. Furthering this adapting theme is that of Paint 3D. After Microsoft revealed their plans to scrap the beloved Paint software, the internet gave an international outcry. Since then Paint has been saved, but it’s not likely to see any improvements in future updates. This is due to the ongoing development of Paint 3D. Paint 3D is, as it says on the tin, a 3D designing tool. At IFA, Microsoft displayed the software from the role of a designer, and it does seem rather impressive. In fact, I’m fairly certain we will see some incredible masterpieces emerge over the coming years from artists, designers and creators alike. What was interesting about the latest version of Paint 3D after the Fall Creators Update is that it will be immersive with programs such as PowerPoint. The demonstration saw these images saved in a 3D file format that can be rotated to suit the slide and a transition called ‘morph’ that will rotate the 3D image to the new slide position seamlessly. To conclude their IFA keynote, Microsoft’s own Nick Parker mentioned the 500 million monthly active users that use the latest OS Windows 10 and that there are 1 billion people worldwide on a Windows Device. Many people, whether they realise it or not, will use Windows or some form of Microsoft software in their day-to-day life and this does not go unnoticed. Parker stated that this is seen as a ‘huge responsibility’ to the team at Microsoft and understandably so. Whilst this IFA showcased no new hardware from Microsoft themselves, we were able to gain an insight into what can be expected from the all new Fall Creators Update, and that in itself is pretty exciting.